Delaware Area Career Center student Moyesh Khanel is one of five candidates for Presidential Scholar in Career and Technical Education in Ohio. He sits in front of an environment he designed by hand in Unity, a game development engine. Khanel said he recreated items like shipping containers and barrels inside the game engine by using reference photos. A senior in the Delaware Area Career Center’s app development program was recently announced as a Presidential Scholar candidate. Moyesh Khanel, a student at Westerville South, said he didn’t know anything about being a Presidential Scholar until a counselor at the career center nominated him and said he is one of only five candidates for Presidential Scholar in Career and Technical Education in Ohio. According to the Department of Education, the semi-finalists will be announced in April and the finalists will be announced in May. Khanel said he and his family came to the United States from Nepal when he was eight years old and said he hadn’t even seen a computer before he came to America. Khanel said he spoke very little English when he came to the US and said he learned from school and from volunteering at a free clinic in middle school when he and his family lived in Philadelphia, where he worked as a translator for doctors and patients. “I was helping the community and was also learning how to talk to people,” Khanel said. Khanel said he visited the Delaware Area Career Center during his sophomore year and immediately wanted to be a part of the new app development program. Khanel said being bilingual has been a huge benefit because working as a programmer requires familiarity with multiple programming languages. 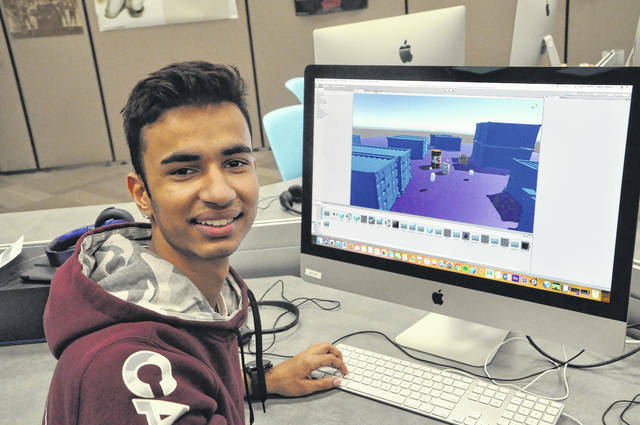 After high school, Khanel said he hopes to attend either Capital University or The Ohio State University to major in computer science. He said he is honored to be considered a Presidential Scholar semifinalist. He said he is still waiting to hear back from colleges. Khanel said his goal is always to keep improving himself, keep challenging himself, and to keep pushing forward.